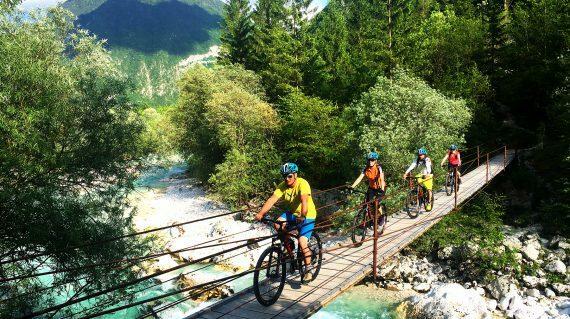 4-day adventurous cycling tour in Slovenia with a cycle around the Julian Alps and Triglav National Park. 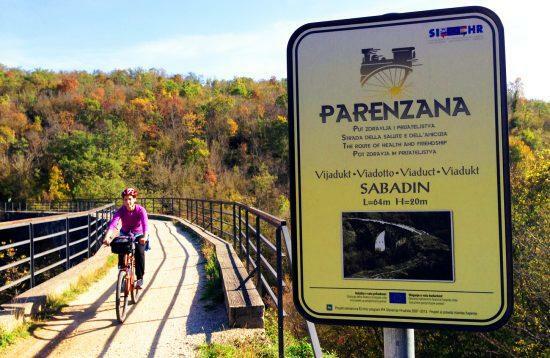 Exploring on two wheels around the central alpine and culinary western part of Slovenia - One of the most beautiful part! 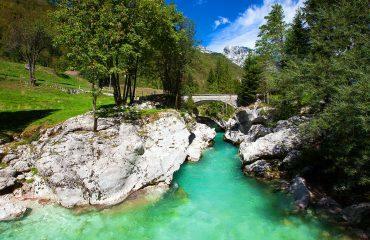 All about the Cycle around Julian Alps – Slovenia. 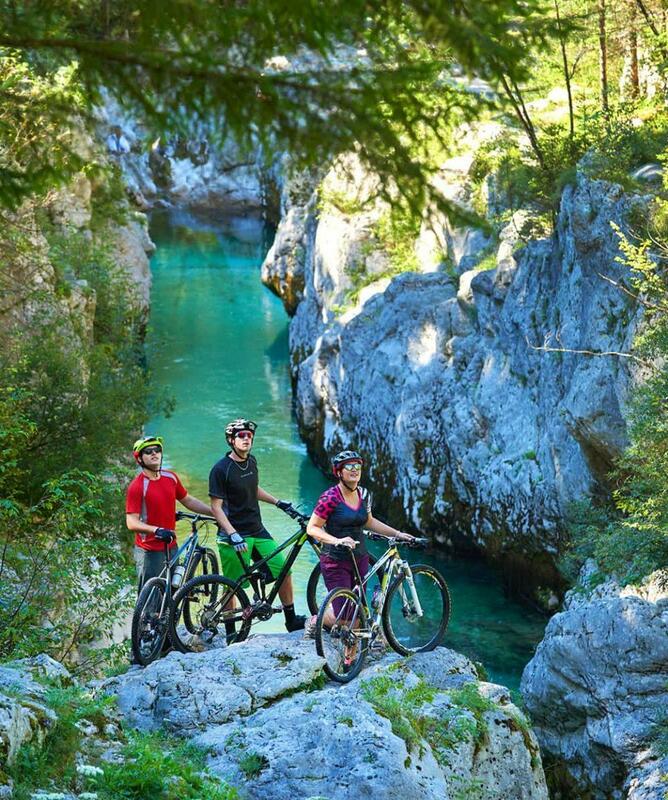 4-day adventurous holiday tour in Slovenia with cycling around the Julian Alps and Triglav National Park. Exploring on two wheels around the western part of Slovenia. 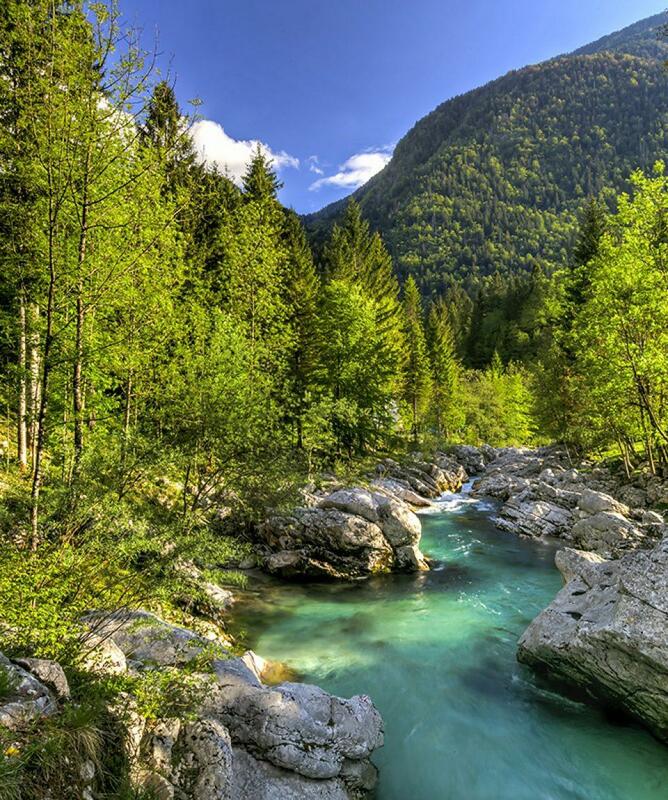 Experiencing the breathtaking scenery of green alpine valleys, clear meandering rivers and majestic mountain peaks. 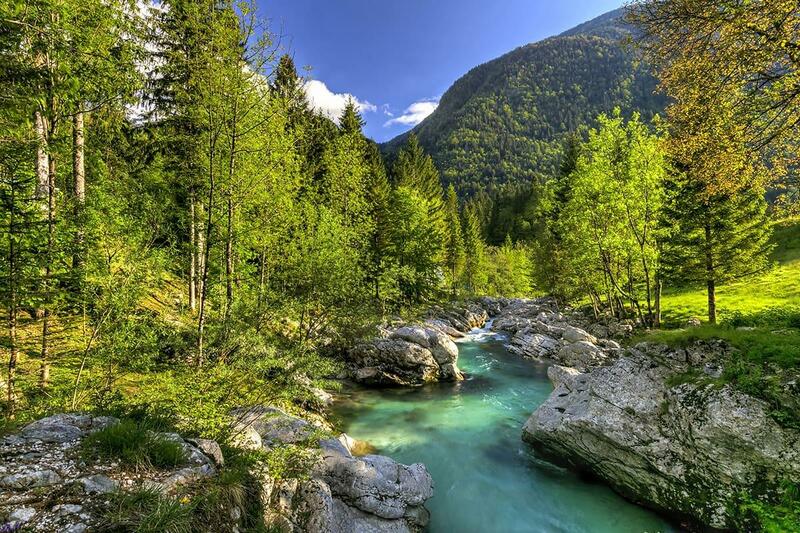 Pure alpine Bohinj Lake and picturesque Lake Bled. 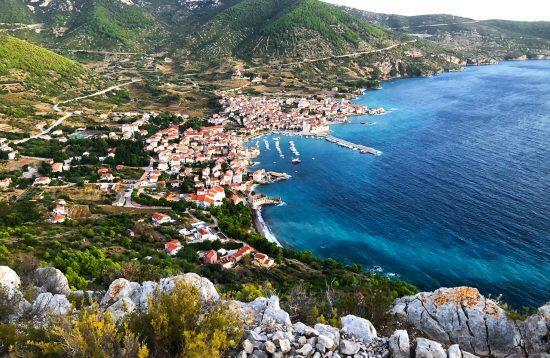 Stay in charming pensions run by local people or in small 3* hotels. 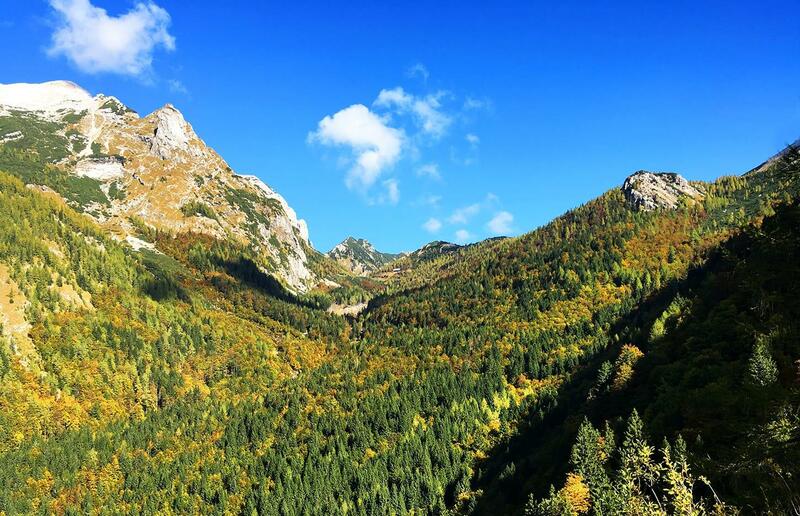 Picturesque drive across Vršič, the highest mountain pass in Slovenia. 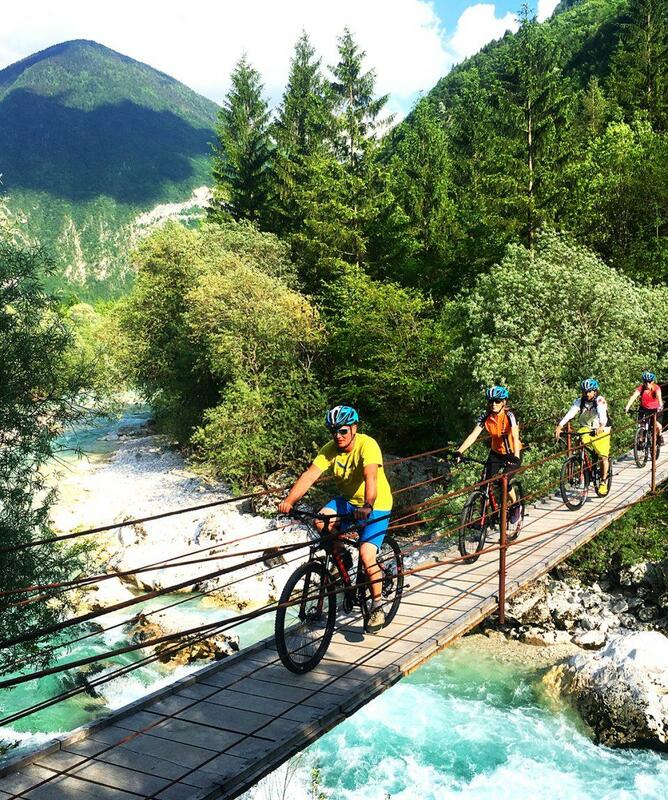 Cycling through Trenta Valley along the emerald Soča River. 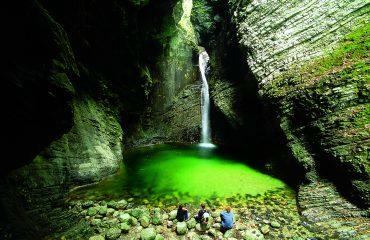 Sightseeing of great Kozjak Waterfall near Kobarid. Cycling near Tolmin and Most na Soči. Sightseeing of Kranjska Gora and Jasna Lake. Enjoy train ride from Most na Soči to Bohinjska Bistrica. 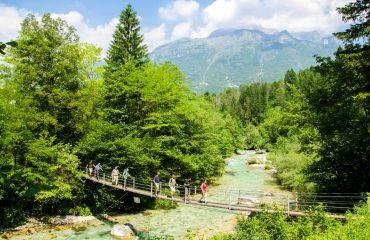 Sightseeing of Kobarid – a lively and culinary capital of Slovenia. Date: From May 1st to September 30th. Start of the tour: Bled. Introductory briefing on day 1 with a welcome drink (Bled). Transfer from Ljubljana or Ljubljana airport to Bled. Booklet with detailed itinerary and route instructions. 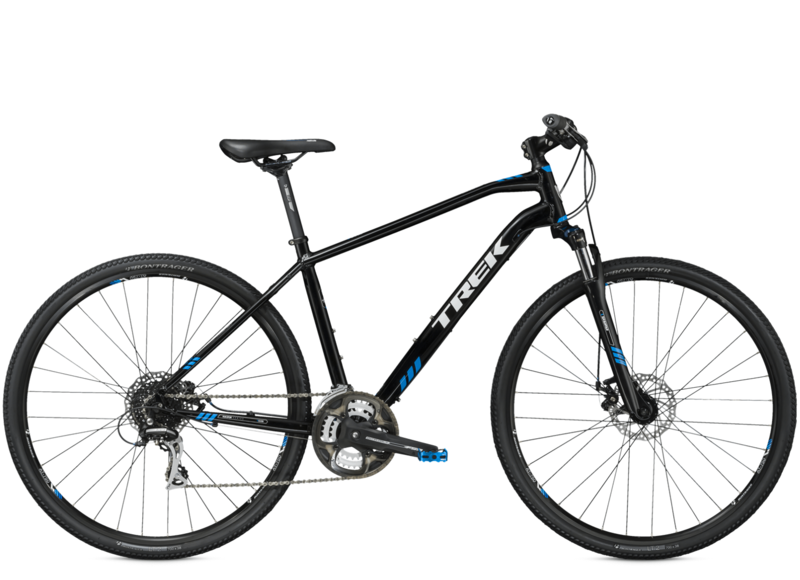 4-day rental of Trek Hybrid bike with 2 side panniers, helmet, lock, pump, spare tube and repair kit. 3 nights in 3*accommodation, half-board. Private transfer from Kranjska Gora to Trenta via Vršic Mountain Pass (1611m). Private transfer from Jereka Village to Goreljek village (Pokljuka). Train ticket: Most na Soči to Bohinjska Bistrica. Main luggage storage at Bled. Food and drinks: lunch on all days. Luggage transfer between towns - you carry all your gear in panniers from days 1-4. Upon arrival to Ljubljana or Ljubljana Airport, you will be transferred to Bled. An introductory briefing will be held at the Bled Office, where you will receive all needed info and gear for your cycling adventure. 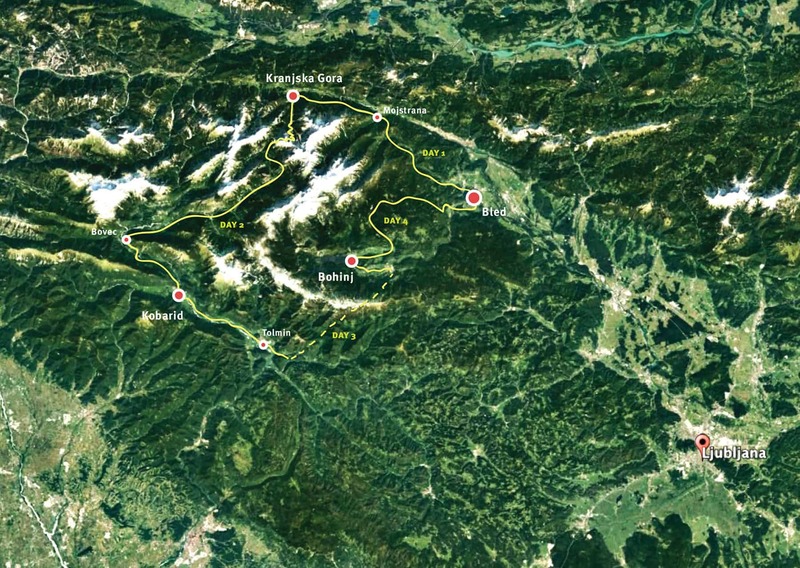 Cycle from Bled to Kranjska Gora (38 kilometres). Afternoon cycling to Tamar Valley and Belopeška Lakes then cycle back to Kranjska Gora. 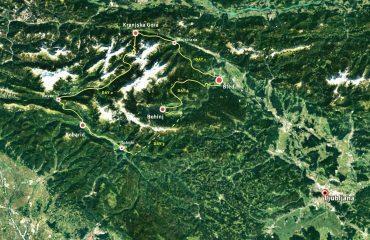 After breakfast a private transfer to Trenta Valley will take you across Slovenia's highest mountain pass Vršič (1611 m). 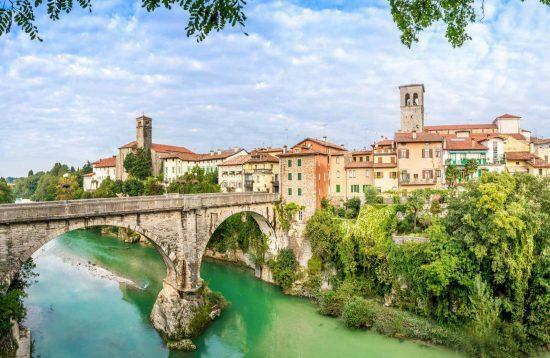 You will stop on top of the mountain pass where you will have the most outstanding views on the Trenta valley. Your cycling will begin at the beginning of the valley. 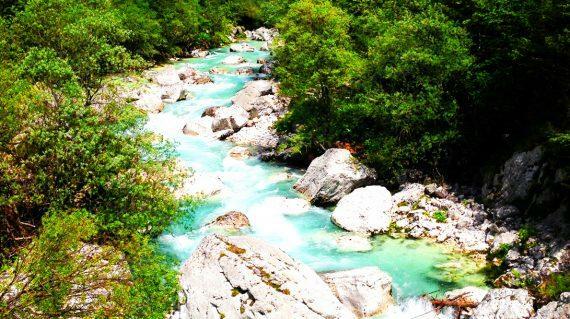 The route will take you on a path alongside the emerald Soča river. 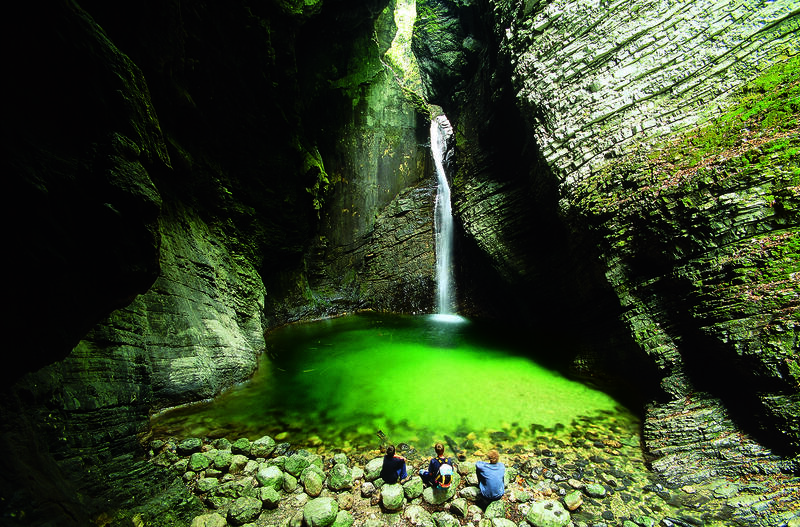 You will cycle past the gorges of the river, past town Bovec towards Kobarid (35 kilometres), where you can optionally take a short hike to one of the most beautiful waterfalls Kozjak or you can visit the famous WW2 museum. 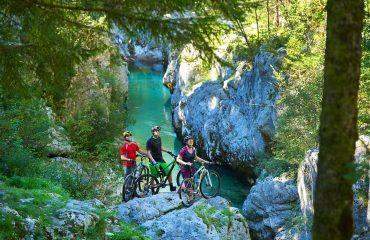 Your cycling will begin after breakfast, when you will continue cycling on a path along the Soča river. 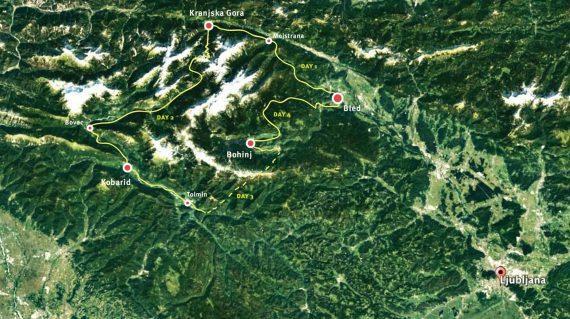 You will cycle past villages all the way to Most na Soči town (20 kilometres) where you will take a train (45 minutes) to Bohinjska Bistrica. There you will enter beautiful cycling path towards Bohinj Lake passing by scenic villages (15 kilometres). 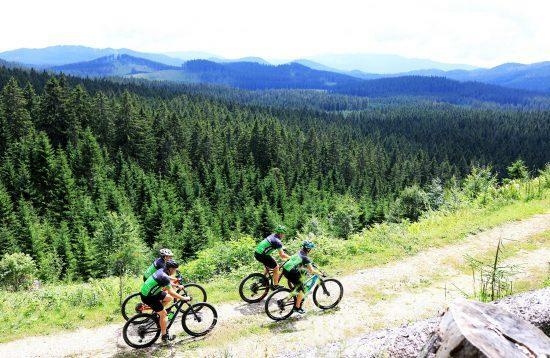 In the morning you will cycle to nearby Jereka village (10 kilometres) where a private transfer will take you to Pokljuka Plateau from where you will continue cycling along Pokljuka Plateau and downhill towards Bled lake (25 kilometres) where your tour will end. What the prices of food and drinks? 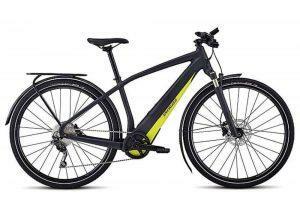 Which personal equipment do I need for cycling? Most meals and drinks have regular prices. 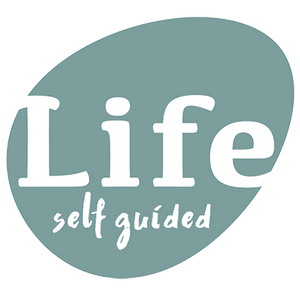 Shoes – sport, walking shoes. Jacket – wind & waterproof. Trousers – short and long. Sport cycling shirt or active short – good evaporation. Sunglasses, sunscreen and lip salve. Food and drinks: fruit, energy bars and a sufficient amount of water/drinks. We include the hire of your quality bike in the overall cost of the tour: you don't need to bring your own or pay extra to hire one locally. We provide full bike set: a pump, lock, Topeak tool, spare inner tube and tyre levers. 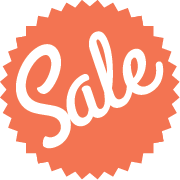 Helmet, brand new quality bidon (0.5l) and side panniers are also included in the price of the tour.